INTERN: We are looking for an intern who has an active interest in contributing to the Child Rights and/or Development sector. Students or Professionals who have either an educational background or work experience in promotion of Child Rights and/or Development, and are willing to make a 3-6 months commitment are invited to contact us by clicking the link below. Objection to the Amendment of Child Labour (Prohibition and Regulation) Act-1986 to allow children below 14 years old to help in home-based works. Every year thousands of children are trafficked and made to work as domestic workers. The new amendment to Sec 3 of Child Labour Act will encourage more child trafficking. Please sign the petition against this amendment. The right to childhood is a human right. Let’s make it a constitutional one. The ‘Kinderrechten Fonds- Jeanne Devos’ by KU Leuven, aims to support the activities of Jaan Foundation .This includes studying and disseminating the knowledge and experience created through the activities of Jaan Foundation with network coverage of vulnerable groups, children and women. Through the expertise and financial support of KU Leuven, many children have been Prof. Peter Adriaenssens is the founder and chairperson of the Jeanne Devos Kinderrechten Fonds in Leuven. A visionary businessman responsible for building the American international hotel company, Conrad N. Hilton was also a visionary philanthropist committed to world peace and economic stability. 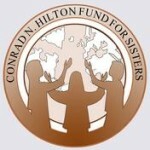 In 1986 the Conrad N. Hilton Foundation established the Conrad N. Hilton Fund for Sisters in accordance with his Last Will. The collaboration between CNH Fund for Sisters and the Jaan Foundation has brought tremendous change and has contributed substantially to the alleviation of poverty in the country and the mainstream education particularly for girl children among the poorest of the poor. The Indika Alliance is a Minneapolis based 501(c) (3) nonprofit that works to improve the lives of girls and women in domestic work in India. This is done through awareness building, advocacy and fundraising in the United States, and facilitating cross-cultural advocacy among young people in both countries.